It’s not possible for us to dig up the backyard and turn it into a vegetable garden. However, that doesn’t mean I can’t grow some fresh veggies. 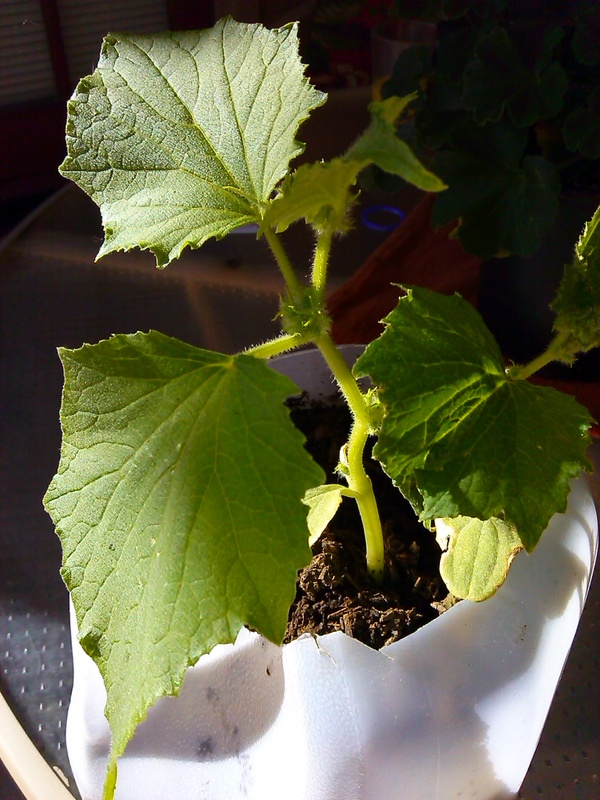 The solution is container gardening. The downside is that paying $5 to $10 for each pot can really break the budget. 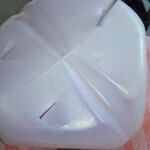 Containers are also valuable to jump start the season. 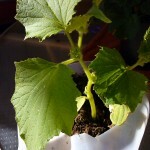 Or to plant summer vegetables before the ground is warm enough. 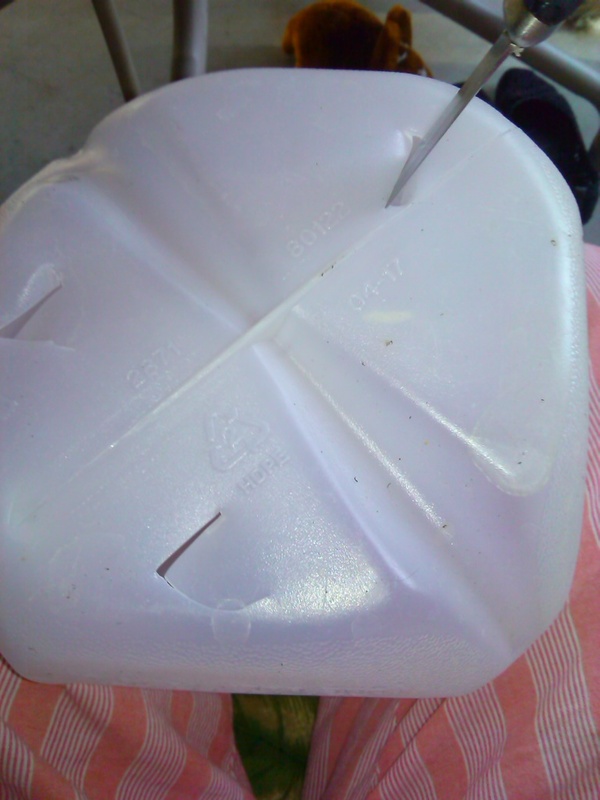 Well, the solution is using gallon milk and juice jugs for containers. The transformation is easy. 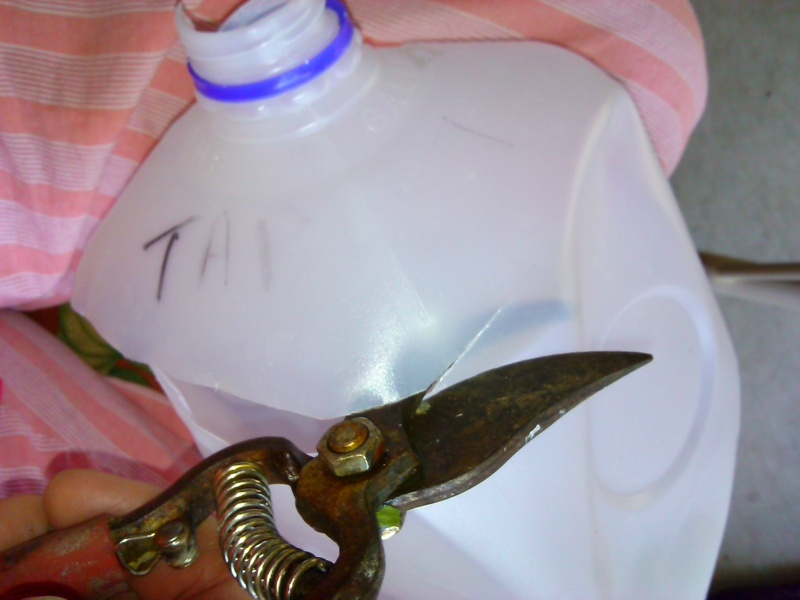 First — and this is very important — poke three to five holes in the bottom of the jug for drainage. If you don’t do this, the plants die. No drainage holes means the roots drown in soggy soil. 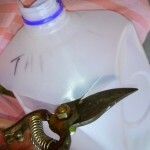 Cut off the top of the jug with garden shears. It takes a little strength to cut through the plastic but only takes a few moments. 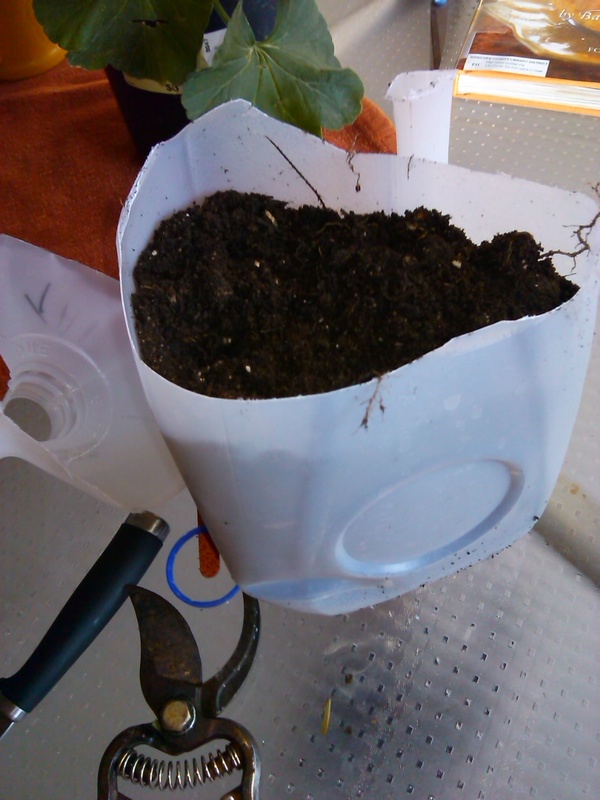 Fill the jug with potting soil. You could use garden soil but it has a tendency to harden. If you’re starting before the ground is warm enough to plant you may have a problem digging up garden soil. Water the jugs to help the soil settle. You may have to add more soil. 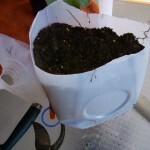 Then plant your seeds and cover with additional soil. 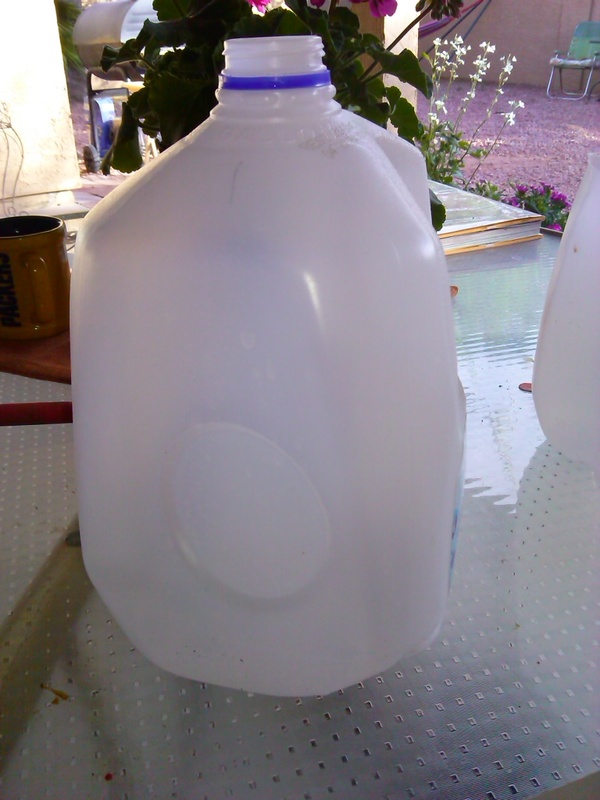 If the weather is too cold, wrap the jugs in black plastic garbage bags to warm up the soil. 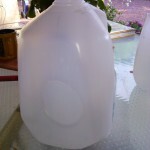 Don’t cover the holes in the bottom of the jug with the black plastic.